Prime Waterfront location on San Diego Bay. Offers a resort-like setting with bay view rooms. 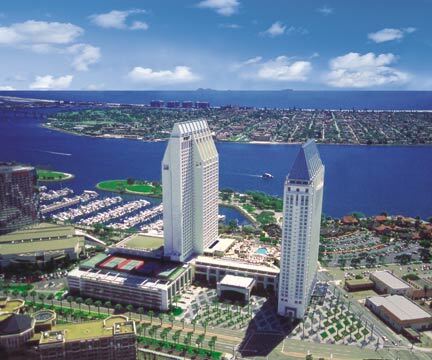 Five minutes from the airport and walking distance to San Diego Convention Center, Seaport Village and Gaslamp District. Easy access to San Diego Zoo, Sea World and Beaches.